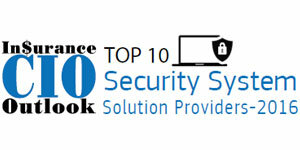 Home » Security System » Vendors » Accellion, Inc. Walking down memory lane, Yorgen Edholm, CEO and President of Accellion, reminisces, “as a dedicated musician, I practiced violin for about six hours a day.” The persistent practice enabled Edholm to become an exceptional violinist. This dedication and attention to detail is quite evident in how he leads his company, Accellion. “Our success is a result of our deep understanding of our clients’ most critical content requirements,” says Edholm. The company provides enterprise-class file sharing and collaboration tools that secure content and streamline workflows for insurance companies and other businesses in the financial services sector. Accellion focuses on critical issues facing the insurance industry: data security and compliance. Edholm states, “the Insurance industry is entirely dependent upon data: actuarial models, policies, claims and, of course, personally identifiable information.” To complicate matters, this data is accessed, shared, and edited by numerous people in corporate offices and in the field, utilizing a variety of devices including smartphones, tablets and laptops. The problem is only compounded when employees leverage their own devices with consumer-focused cloud storage solutions such as Dropbox, iCloud and Google Drive. Ultimately, all of this sensitive corporate and client information, whether it’s stored on the device or in the cloud, is susceptible to data breaches. Accellion solves this problem with a unique private cloud content solution that enables a customer to retain ownership and control over their enterprise content. Additional security features include file tracking and reporting, anti-virus, file/folder expiration, two-factor authentication, remote wipe, and app whitelisting. And in light of the developments around government access to private sector data, prompting the recent rejection of the Safe Harbor agreement between the U.S. and the EU, an added layer of security with kiteworks is the fact that all files are secured with the highest levels of encryption and can be geographically segregated. In fact, with kiteworks, organizations retain full ownership of the encryption keys so enterprises can ensure no unauthorized parties access their data. Securing enterprise content has become increasingly important for insurance companies as data generation skyrockets. However, this data gets stored across the IT network on disparate devices and in multiple content stores—making accessing, sharing and collaborating on documents difficult. Accellion’s content connectors provide seamless access to each of these content sources from a unified access point to facilitate easy file sharing and collaboration. As part of the company’s objective to give enterprise organizations full control of their content, Accellion opened the kiteworks platform to developers, enabling the design and deployment of custom enterprise applications. The kiteworks secure content platform includes enterprise-grade APIs, and mobile SDKs for a variety of mobile operating systems including iOS, Android, Windows and Google Glass, that provide access to a secure mobile container with integrated security and compliance controls. To highlight these development features, Accellion designed a reference application for the Insurance industry, the Oops! app, that automates interactions and processes that occur between an insurance agent and a policyholder after a car accident. The app navigates the users to take photos of the involved vehicles, record the accident’s location, follow up on tasks, upload/ download, and view/edit the documents related to the accident. “It’s a cloud app that’s still tied to the enterprise, which means enterprises can maximize both functionality and security,” explains Edholm.